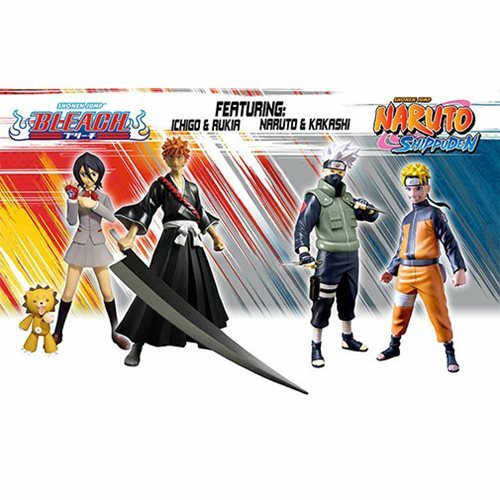 From Toynami comes the first series in the Viz Collection, Naruto Shippuden and Bleach 6-Inch Figure Series 1 Set! You can now choose from two of your favorite Naruto characters: Naruto and Kakashi or two of your favorite Bleach characters: Rukia and Ichigo. Each figure comes with accessories and display stands!